It used to be that fighting in the army was reserved only for men around the world, but things have been changing over the last 30 years. Now, global armies have realized how important women in the team are, which has led to them trying to recruit many more. And not just as nurses or cooks! 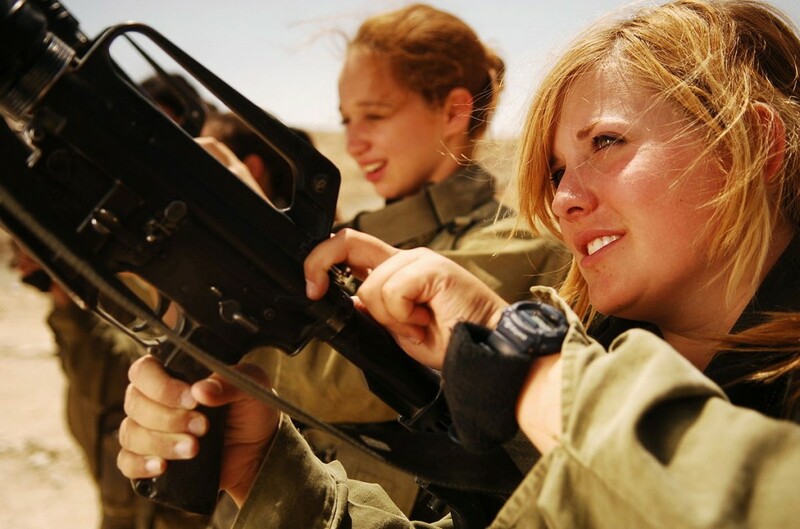 Women are now trained up to be powerful fighting forces, just like men. Here are the 5 armies, from around the world, who love recruiting women. Let’s kick off the list with the first country in NATO to allow women to serve in all aspects of the army; including all types of combat. In 1985 it was decided that women could serve for their country in all combatant roles, including in submarines. However, that doesn’t mean they take things easy on their women. All the females who join the Norwegian army have to be up to the same physical standards as the men. After all, it’s a tough job! This means that only 10% of the Norwegian army is made up of women, both because of the tough physical standards and because most women don’t really see the appeal. Keen to show that their country fights for gender equality, the Norwegian army treats men and women exactly the same. They have to share the same dorm rooms and men are now allowed to grow ponytails, after men complained it wasn’t fair that women could but they were not allowed. In 2014 Norway also became the first NATO country to adopt gender-neutral conscription; now women can be called up just as men can be called up, if they’re needed to fight. Norway really has got their gender equality rules spot on, ensuring that both men and women in the army get treated equally. Perhaps more countries will follow suit, in order to build up their armed forces with strong and powerful female fighters. The French army loves women so much that nearly one-fifth of all roles are filled by female fighting units. This means that they make up the biggest proportion of female military personnel in the whole of Europe. France have always been pretty lenient when it comes to women being in the army, starting from the 1800s. Back then, women were recruited for preparing the meals for the soldiers, before being given medical responsibilities in 1914. By 1939 they were allowed to enlist within armed services branches and in 1972 they were given the same rights as men. Well, almost. The French army still does not allow women to work on submarines or in riot-control. They are allowed to serve within the combat infantry department, however most chose not to. The majority of women in the French army work within the Air Force, Medical Corps and the Navy. As a country, France is pretty proud of the number of women serving in their armed forces. After all, they have the highest number in Europe! However, as with most of the countries on this list, women do not get special treatment. They are given the same rights as men in the army, which means they have to pass all of the same tests and prove their physical capabilities. It seems like there are plenty of tough women in France, if one-fifth of their armed forces are made up of female personnel. Canada is another country which has no restrictions on where women can serve, in their army. In 1989 all combat roles were opened up to women, other than submarine warfare. By 2000 all roles were opened, including the submarines! During most of Canada’s history, women have served for their country. Over 2,300 women served in the Canadian Army Medical Corps during World War I and then a further 5,000 women served during World War II. Although the country couldn’t quite make up its mind as to whether women could be in combat roles, first setting up the women’s services and then disbanding it, they soon realized how important it was to have females in the forces. By 1974 they had their first female pilot to earn her wings and the role of women in the military continued to expand. In 1982 a law was passed to end discrimination in employment, which meant that combat related roles were then opened up for women. When the submarine roles opened up Canada saw its first captain of a Canadian warship just three years later. Over 15% of the Canadian army is made up of women, an extremely high number that the country is pretty proud of. However, only 2% of combat troops are females, with most women preferring the Air Force, warships and other roles within the army. In 2006 Captain Nichola Goddard became the first Canadian woman to be killed in combat, after working on operations in Afghanistan. New Zealand is one of the only other countries to impose absolutely no restrictions on women serving in the army. By 2001 a legislation was bought in that allowed women to serve in all defense units, including infantry, artillery and armor. They are also allowed to serve in the Special Air Service, although no woman has actually managed to pass the tough physical and mental tests in order to secure themselves a place. In 2005 a report showed that there was variable success in recruiting women in combat trades, which basically meant that New Zealand needed to try harder! With a strong focus on gender equality, the army has tried to show the world that they value women as much as men in their army. This has begun to pay off, albeit quite slowly. The army regularly goes on recruitment drives in the hope of enlisting more women to join the forces, whilst also trying to maximize opportunities for women. Although they may not have the same numbers of women in their army as some of the other countries on this list, they’re definitely trying their best. The fact that they treat both men and women exactly the same is something to be admired as well. According to a report by the New Zealand MOD, in 2014, around 16% of their entire armed forces is made up of women. Not bad going!